WASHINGTON – In the wake of alarming federal and international climate reports, elected leaders of the District of Columbia — representing nearly 700,000 people in the nation’s capital city — today gave final approval to a bill to mandate 100 percent of the city’s electricity come from clean renewable power by the year 2032. This represents the strongest legislative mandate of its kind of any state in America. The “Clean Energy DC Omnibus Act of 2018” also creates enormous incentives for electric cars, sets groundbreaking efficiency standards for existing buildings, and expands a pollution fee on electricity, natural gas and home-heating oil. It then invests that carbon revenue in a special “Green Bank” for clean energy loans and efficiency and solar programs for low and moderate income residents..
CCAN Action Fund extends special thanks to Councilmember Mary Cheh (D-Ward 3) for her dogged leadership in working with advocates to write this bill and seeing it through the legislative process from start to finish. And thanks to Councilmember Vincent Gray (D-Ward 7) who as former mayor of the city set a guiding vision for action with his landmark Sustainable DC Plan. And thanks to leading supporters, including the DC Chapter of the Sierra Club, Citizens Climate Lobby, Interfaith Power & Light DC.MD.NoVa, Moms Clean Air Force, SEIU Local 32BJ, 350DC, DCEN, Coalition for a Resilient DC and many others. The DC bill sets a very high bar for states across the country. California has set a goal of at least 60% clean electricity by 2030 and Maryland, next door, is poised to pass a 50%-by-2030 renewable electricity bill in early 2019. Both states are looking to get to 100% clean electricity soon after 2030 but have not finalized plans. The legislation also authorizes the District to put a fee on transportation fuels if Virginia or Maryland commit to the same. The bill will create efficiency standards for existing buildings, fund the new Green Bank, and boost local programs to assist low-income residents as the District transitions to more sustainable clean energy systems. It will also adjust the vehicle excise tax to incentivize clean cars and make owning dirty vehicles more expensive. energy and utility sectors, and the business community. low-income residents and make the city a sustainable place to live. regional electricity grid, known as the PJM. This would be the strongest clean energy law in the country! DC, while reducing the money flowing out of DC for energy imports and making DC buildings more competitive. depend on fuel efficiency, incentivizing the purchase of more fuel-efficient cars in the District. 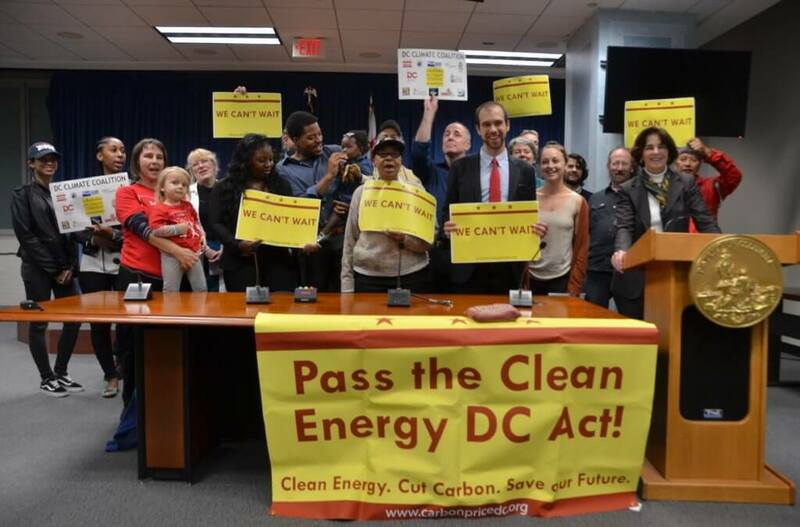 DC can lead the way to reign in carbon emissions and bring clean energy to everyone. strong, economy-wide emission reductions with a focus on equity. Third party financing can enable solar growth, but faces hurdles in several states. Some utilities are not compensating for solar’s value on the grid and leveling charges specific to solar owners. Utilities in the sunny Southeast face challenging policy questions from the region’s spiking demand for solar.The Southern Alliance for Clean Energy (SACE) expects the region’s cumulative 6 GW at the end of 2017 to reach 15 GW by 2021, driven largely by utility-scale solar.. But this growth confronts utilities with big questions about costs and benefits. Southeastern states “are making great progress in large scale solar, but rooftop penetrations are still relatively low,” she added. “The focus of policy should be on encouraging the market because consumers want solar, but some utility policies put the brakes on market growth.” In Florida, Sunrun, one of the biggest national solar installers, won a major victory at the Public Service Commission (PSC) in April by getting a form of third party ownership of solar approved. “Third-party ownership of solar has driven residential solar market growth across the country, but Florida did not allow it,” Sunrun Chief Policy Officer Anne Hoskins, a former Maryland utility commissioner, told Utility Dive. “After the PSC rejected our initial proposal for a no-upfront-cost leasing program, we used their feedback to develop a proposal that fits state statutes and satisfied the commission.” Sunrun expects third party ownership to drive new residential solar growth in Florida, while the SELC is keeping an eye on compensation and charges leveled by utilities on solar owners. Florida’s PSC unanimously bypassed the state’s prohibition against third-parties selling electricity and now allows consumers to lease residential arrays of up to 2 MW without upfront costs and maintenance costs, Hoskins said. Customer interest in access to solar and solar plus storage systems for resilience has increased in the aftermath of 2017 and 2018 hurricanes and floods, she said. But many Southeastern utilities’ punitive fixed charges, low compensation rates and prohibition against leases work against solar development. That is beginning to shift, and some form of third-party solar ownership is now also available in the Carolinas and Georgia. 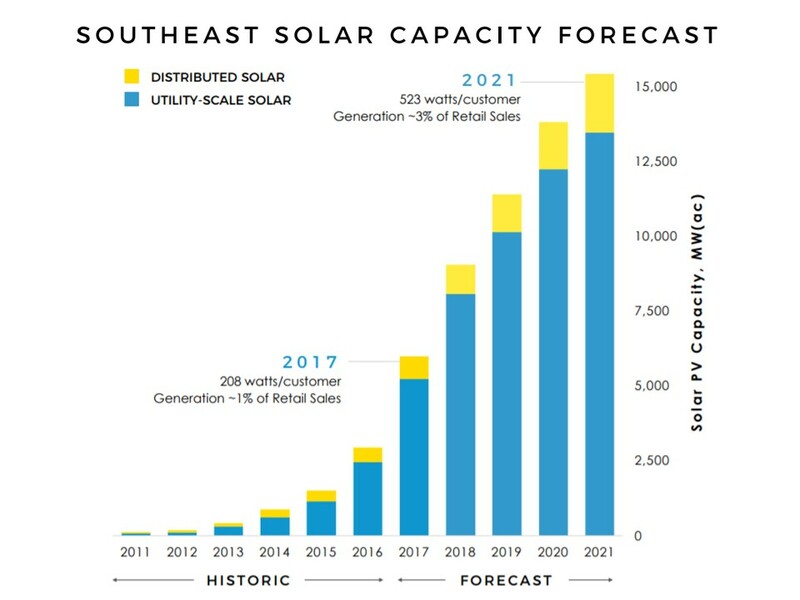 Solar is growing quickly in the Southeast. Resilience concerns are beginning to boost the Southeast residential solar market, but economics remain the main driver, strongly influenced by policy, SELC’s Bowen said. SELC defines “brakers” and “makers” as utilities which have policies that are either detrimental or supportive of distributed solar growth. Two of SELC’s three solar “braker” utilities, require customers who own solar to pay “a solar-specific fixed charge” that keeps their bills high, compromising the solar value proposition, Bowen said. After SELC filed a lawsuit with Alabama regulators questioning the charge’s validity, Alabama Power increased the fee from $5,00/kW to $5.42/kW. The charge is for Alabama Power’s costs to have infrastructure “at-the-ready” to back-up customers when their on-site generation is not producing, spokesperson Michael Sznajderman emailed Utility Dive. It prevents the “shifting” of those costs to other customers. North Carolina’s Blue Ridge Energy has a $53/month charge to solar customers that is $29/month more than the charge to customers without solar, which “sends a strong signal to customers that they will not benefit financially from solar,” Bowen said. Like Alabama Power, Blue Ridge justifies the charge as preventing a shift of costs to non-solar owners. Alabama Power compensates solar owners for electricity sent to the grid at $0.04/kW, but charges a $0.127/kWh retail rate. SELC found. One Blue Ridge Energy offering compensates at the wholesale rate and another offsets the retail rate but requires a higher solar-specific charge. By contrast, SELC solar “makers,” like BARC Electric in Virginia and North Carolina’s Brunswick Electric, compensate solar owners at the retail rate and have no solar-specific fees, Bowen said. Although “customer demand is important for developing solar supportive policies” state leadership is another important driver, according to Bowen. In South Carolina, policymakers, utility leaders, and renewables advocates anticipating customer demand collaborated to pass Act 236 in 2014, which instituted a wide range of policies and programs to support solar growth, including third party ownership, retail rate net energy metering compensation and avoided solar-specific charges. Now solar is growing so fast, policymakers are being forced to look closer at the Act’s limitations. SELC and SACE both rank utilities on solar growth by separate sets of criteria. The rankings find the same two large Southeastern utilities earned special recognition. “Duke Energy was in our highest category and [The Tennessee Valley Authority] was in our lowest category,” for solar growth, SACE’s Jacob said. 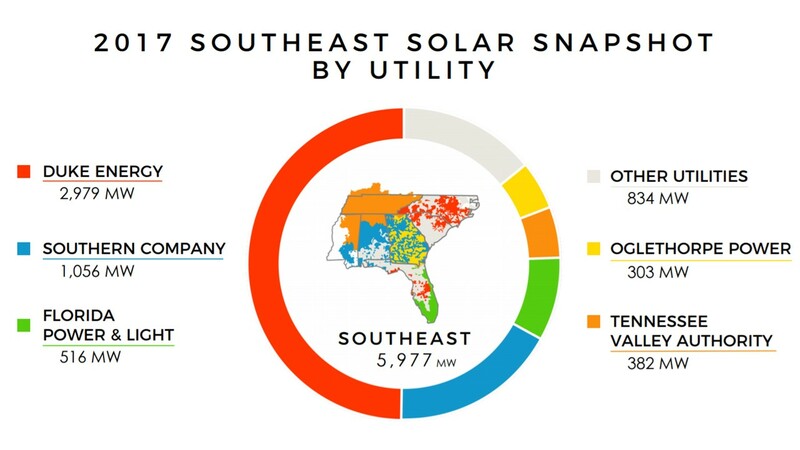 Southeastern utilities vary in how much solar they’re building. TVA has “no need for new energy and capacity, but [has] responded to customer demand with year-over-year growth in renewables,” TVA Director of Business Development and Renewables Tammie Bartlett told Utility Dive. She said the utility shares the goals of SACE and SELC and “[doesn’t] have an explanation” for its low ranking. TVA’s installed solar capacity was 382 MW at the end of 2017. This year, to meet Facebook’s demand for renewables to power a planned facility, TVA signed contracts for 377 MW of new utility-scale solar. Duke Energy had 2,979 MW of installed capacity at the end of 2017 and expects to add an estimated 300 MW this year. TVA was ranked low by both groups because it has built comparatively less utility-scale solar than other utilities in the region and because SACE’s “participation in four meetings with the TVA solar Stakeholder Advisory Group produced no progress,” Jacob said. TVA also has not supported distributed solar growth by clarifying the legality of third-party ownership and its residential solar programs are “two bad alternatives” which seem designed to “stifle” growth, said Bowen. One is a 20-year, buy-all, sell-all contract that prevents customers with on-site generation from offsetting the retail cost of electricity, Bowen said. And it is capped at 10 MW/year, which limits growth and creates “boom and bust” demand cycles with which local solar installers struggle. The other offering allows use of on-site generation but compensates exported electricity at $0.024/kW, which is “a fraction” of the retail price and “one of the lowest solar credit prices in the region,” Bowen said. The buy-all, sell-all program is “comparable” to a retail rate compensation program because “it provides a consistent compensation rate with a clear return on investment over time,” Bartlett clarified, adding TVA also offers a third option which allows customers to use on-site generation, and includes a community solar program. Duke Energy was named a “sunriser” by SACE and a solar “maker” by SELC. Guided by state policy, which it took a role in shaping in the Carolinas and Florida, Duke offers retail rate compensation, imposes no solar-specific charges and works with third-party lease providers. Duke’s strategy is to identify programs that are “acceptable to regulators” and that work “for the utility, solar businesses, at the residential, commercial-industrial, and large scale levels,” Wheeless said. Because Duke remains active in shaping policy, it is “a utility to watch” in the 2019 debate over changes to Act 236 in South Carolina, Bowen said. Sunrun is focused on growing solar in states where third-party ownership is now legal and is waiting to see whether South Carolina takes a step backward or a step toward the future, Hoskins said. “The Office of the People’s Counsel commends DC Council passage of the Clean Energy DC Omnibus Amendment Act and strongly supports its goals. As Councilmembers have stated, there are many moving parts to the bill, some of which remain a concern. However, I am pleased that since the first vote, OPC’s concerns about the bottom line’s impact on consumers’ utility bills were heard. Going forward as the advocate for consumers, OPC will work to ensure that any transition to a cleaner energy future does not require that District ratepayers bear unfair financial burdens. OPC recognizes the urgency in acting now to address climate change for future generations but at the same time keeping utilities affordable must be at the forefront of all initiatives. The challenge is how to balance these competing objectives. OPC is prepared to work with the Council and stakeholders to meet that challenge. (Washington, D.C.) Today, Willie L. Phillips was confirmed as the new Chair of the Public Service Commission of the District of Columbia effective December 18, 2018 for a term ending June 30, 2022. Commissioner Phillips was nominated by Mayor Muriel A. Bowser and confirmed by the DC Council. Commissioner Phillips was first appointed as a Commissioner in 2014. “Having served as a regulatory attorney and Commissioner, it is a great honor to be confirmed today as Chair. I look forward to working with my fellow Commissioners and our excellent Staff, as we tackle the pressing issues before the Commission, including infrastructure improvement, grid modernization, and consumer education,” stated Commissioner Phillips. Commissioner Phillips is an experienced regulatory attorney combining over a decade of legal expertise in private practice and as in-house counsel. Commissioner Phillips has an extensive background in the areas of public utility regulation, bulk power system reliability, and corporate governance. Prior to coming to the Commission, Commissioner Phillips served as Assistant General Counsel for the North American Electric Reliability Corporation (NERC), a not-for-profit international regulatory authority, in Washington, D.C. Before joining NERC, Phillips was an attorney at Van Ness Feldman LLP in Washington, D.C., where he advised clients on regulatory compliance and policy matters and assisted on litigation and administrative proceedings on the Federal and State level. He has also worked as an aide on Capitol Hill. Commissioner Phillips is a member of the National Association of Regulatory Utility Commissioners (NARUC), where he serves on the Committee on Electricity, and he is Second Vice President of the Mid-Atlantic Conference of Regulatory Utility Commissioners (MACRUC). He also serves on the Advisory Council to the Electric Power Research Institute (EPRI), Harvard Electricity Policy Group, Keystone Policy Center Energy Board, Energy Bar Association, Dentons Smart Cities & Communities Think Tank, and American Association of Blacks in Energy. And he serves on the Board of Directors of the Organization of PJM States, Inc. (OPSI) and the Living Classrooms Foundation of the National Capital Region. Commissioner Phillips has a Juris Doctor degree from Howard University School of Law and a Bachelor of Science degree from the University of Montevallo. He is also a member of the District of Columbia Bar and Alabama State Bar Association. Inaugural American Association of Blacks in Energy (Association) Capitol Hill Day, February 26, 2019, in Washington, DC. Join us for the Inaugural American Association of Blacks in Energy (Association) Capitol Hill Day, February 26, 2019, in Washington, DC. 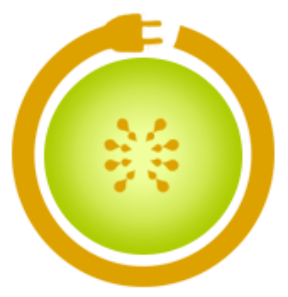 Since its founding the Association has been the leader in informing and educating policy makers on energy issues, including impacts on diverse communities. As industry leaders and company executives the Inaugural Capitol Hill will provide an opportunity to meet with your legislative Representatives, Senators, and Congressional staff to discuss significant policy issues. There are a number of important policy issues that affect our energy future. Join us at the AABE Capitol Hill Day as we offer perspectives on energy’s impact for our work, our lives and our communities. To register click here. The American Association of Blacks in Energy Policy Summit, February 27 – 28, 2019 in Washington, DC. The Energy Summit convenes key stakeholders to give voice to people of color on energy policy issues. The summit provides valuable dialogue with policy leaders about economic opportunities and the impact on underserved populations. To register click here. The American Association of Blacks in Energy for our 42nd National Conference in Indianapolis, IN on April 30 – May 3, 2019. This year’s theme “Energizing the Future for Customers and Communities” will bring together energy industry experts, visionaries and corporate executives to lead discussions around emerging policies, technology advancements, innovative solutions and partnering opportunities designed to create a sustainable future. Register today click here. Remember to send membership inquires to membership@aabe.org. The final text of the 2018 Farm Bill was released yesterday, and industrial hemp legalization made the cut. It also de-schedules CBD oil and puts it in the realm of the FDA. (yay!) Votes to send the legislation to President Trump’s desk are expected this week. 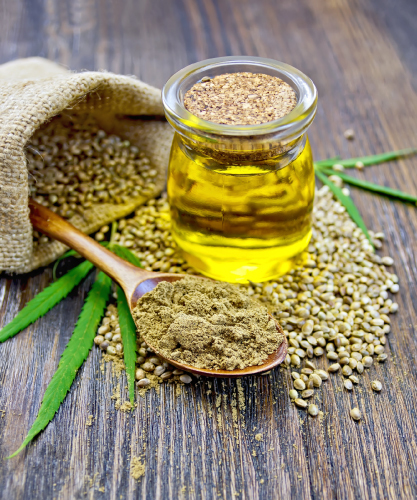 The bipartisan provision, championed by Senate Majority Leader Mitch McConnell (R-KY), will enable U.S. farmers to cultivate, process, and sell hemp. If the bill passes and President Trump signs it, hemp legalization will go into effect on January 1, according to VoteHemp. istrative Hearings voted to approve these rules Feb. 16. The Bureau of Public Affairs is excited to welcome students and faculty of Historically and Predominately Black Colleges and Universities to the U.S Department of State for the 10th Annual HBCU Foreign Policy Conference. The agenda will feature senior State Department officials, diplomatic simulation sessions, and career and scholarship info. What will DC’s new clean energy bill actually do? On Tuesday, November 27th 2018, DC City Council voted unanimously to move forward the most ambitious bill to combat climate change in the nation. A second vote to bring the The Clean Energy Omnibus Amendment Act of 2018 into law will occur later in December, per the Council’s standard legislative process. The overall goal of the bill is to cut the District’s carbon emissions by half by 2032 and completely eliminate emissions by the midpoint of the century. Here’s a quick overview of the major provisions of the bill. Increase funding to the Green Finance Authority, or Green Bank, through increased utility fees. This is estimated to cost households around $3.10 per month total. An average commercial ratepayer who uses 500,000 kWh of electricity and 50,000 therms of gas annually can expect to pay an additional $283 monthly, with fees on electricity declining slightly until they plateau after 2032. Establish a building energy performance standard program. Building on the benchmarking requirements of the Clean and Affordable Energy Act of 2008, this program mandates building energy performance assessments, which will cycle every 5 years. These cycles will begin for all buildings over 50,000 square feet of floor space in 2021; 25,000 sqft in 2023; and 10,000 sqft in 2026. These assessments will show buildings how to reduce their energy consumption by 20% over 5 years. DOEE will establish exemption criteria for building owners that demonstrate financial distress, renovation, demolition, or sale. DOEE will also establish an ACP for buildings who fail to comply and avail $3mm to assist low income properties’ compliance. This legislation also mandates that the Mayor establish a Transportation Electrification Program that will require all high occupancy and commercial fleet vehicles to be low or zero emission. Like other aspects of this bill, it will be implemented in phases. The goal is to have 50% of all such vehicles be “zero or low emission” by 2030; 75% by 2035, and 100% by 2045. The main tool for enforcing this program will come in the form of excise taxes on vehicle registrations through the DC Department of Motor Vehicles. Finally, bowing to lobbying from Exelon, this bill permits PEPCO to recover costs and lost revenue from energy efficiency and demand response programs. FYI, a demand response program incentivizes high volume electric users to avoid using energy during peak usage times (like hot summer days). In other words, ratepayers will be using fewer kWhs and paying more for each kWh. Any fee will be subject to approval of the District Public Service Commission (PSC). It’s important to underscore that most provisions of The Clean Energy Omnibus Amendment Act of 2018 will be rolled out as an iterative process between the Mayor’s office, Department of Energy and Environment, and other stakeholders. Specific benchmarks, penalties, fees, and such are yet to be explicated. This bill includes money to fund a study to determine more precise compliance and administrative costs to implement the legislative goals. Feel free to reach out to Honeydew Energy Advisors if you have any questions about this bill. The District Department of Energy and Environment (DOEE)’s “Solar for All” program, which kicked off in 2016, is designed to decrease energy costs for thousands of low-income DC families. 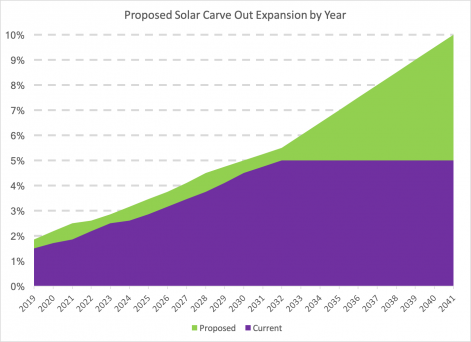 The DCSEU is implementing a new round of “Solar for All” initiatives in FY 2019 that will complement and build upon earlier “Solar for All” work in the District. Developers to build community renewable energy facilities (CREFs). Contractors to install solar systems on roughly 100 income-qualified DC single family households. January 9, 2019: All proposal responses must be submitted electronically to proposals@dcseu.com by 5:00 p.m. EST. Solar for All aims to bring the benefits of solar energy to 100,000 low- and moderate-income households in the District of Columbia. DC’s Department of Energy and Environment implementing the program through several grantee organizations across the District, who are installing solar on single-family homes and developing community solar projects to benefit renters and residents in multifamily buildings. All Solar for All participants should expect to see a 50% savings on their electric bill over 15 years. To qualify, residents must meet the income guidelines below. Eligibility: Household income is 80% of the area median income (AMI) or lower. Two Solar for All grantees are currently installing Solar for All projects for single family homeowners. Solar United Neighbors of DC and GRID Alternatives Mid-Atlantic. Solar United Neighbors of DC’s 51st State Solar Co-op brings DC residents together to make solar more affordable through bulk purchasing. Homeowners own the solar panels, receive credit for all electricity produced, and will receive additional income from revenue generated by their Solar Renewable Energy Credits (SRECs) starting five years after the installation. For income-qualified residents, Solar United Neighbors will pay for the full installation of panels. Learn more about the 51st State Solar Co-op. How to apply: Contact Yesenia Rivera, DC Program Director at yesenia@solarunitedneighbors.org or by phone at (240) 523-3948. Grid Alternatives Mid-Atlantic provides solar installations to income-qualified single-family homeowners through Solar Works DC, the District’s solar installation and job training program. In addition to preparing residents to enter careers in solar and related industries, Solar Works DC reduces energy costs for low- and moderate-income homeowners by installing solar systems on their homes. Homeowners will lease their solar systems at no cost to them and will receive at least 50% credit for all electricity produced by the panels. Learn more at Grid Alternatives Mid-Atlantic. How to apply: Contact Jacqueline Treiger, Senior Outreach Coordinator by phone at (202) 517-8858 or by email atdcoutreach@gridalternatives.org. Community solar provides the benefits of solar to residents who can’t install systems on their home, including renters and homeowners whose rooftops are shaded or need repairs. A community solar project is not located on the home, but offsite, and the benefiting household (called a subscriber) receives a credit on their electric bill each month. How can I participate in Solar for All’s community solar projects? Several organizations are a part of DOEE’s Solar for All community solar initiative. Two programs are currently accepting applications. District residents interested in participating should reach out to those organizations directly using the contact information provided below. Additionally, in late 2019, DOEE plans to open enrollment for a variety of new community solar projects currently in the pipeline. Groundswell is installing solar on houses of worship including at the DuPont Park Seventh Day Adventist Church in Ward 7. Up to 350 income-eligible households will receive energy credit subscriptions at no cost. Visit groundswell.org/solar-for-all/ or contact customerservice@groundswell.org for more information. Neighborhood Solar Equity is installing solar on a local university and plans to provide benefits to income-eligible households in the District. For more information, visit Neighborhood Solar Equity or contact rootandbranchinc@gmail.com. To verify whether a solar developer/contractor is operating as part of DOEE’s official Solar for All program, please email solarforall@dc.gov or call 311. For more information about Solar for All, contact Mike Matthews at (202) 536-7666 or michael.matthews@dc.gov. solar lanterns just “shine a light on poverty.” At that time, I tended to agree. Smart Power Maps, a software tool developed by GeoCF with funding from SETO, helps solar developers determine the best place to install large-scale systems quickly and efficiently. The company invented a mapping platform that pairs a site’s characteristics with financial modeling tools that can help developers predict how much solar energy a system can generate at a particular site and how long it would take to pay back that system. Smart Power Maps has already been used to evaluate more than 250 gigawatts of solar projects, and GeoCF recently entered into an exclusive license agreement with Texas-based project developer 7X Energy. Read more. Bipartisan legislation in both houses of Congress would “ensure a level playing field” for storage resources, according to ESA. 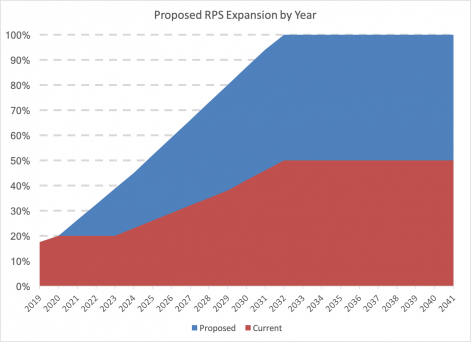 The Energy Storage Tax Incentive and Deployment Act (H.R. 4649 / S. 1868) would apply to utility-scale battery projects as well as smaller residential systems. Already this year, the Internal Revenue Service (IRS) issued a letterdetermining that new storage projects can access the credit when installed with new ITC-eligible technologies. In September, a pair of lawmakers asked for clarification on whether retrofitted storage systems can access the credit as well. ESA’s lobbying attempts are being joined by seven other groups, including the American Wind Energy Association, the Solar Energy Industries Association and Advanced Energy Economy. For energy storage, ESA and other groups say a growing number of technologies want access to the ITC and therefore batteries need the assistance to ensure a level playing field. All storage technologies, including batteries, pumped hydro, compressed air and others, would be eligible for the ITC, “ensuring technology neutrality so companies can choose the optimal solution to meet their needs,” they said. If a man’s worth is predicated not the value in a bank account but in the value placed in how that man’s life work was dedicated to uplift others, then Lawrence Guyot lived a life that amassed riches beyond measure. Today, The Black Blogger looks back 6 years to remember a black man who gave his all and then some more to see that our community gained full citizenship and human rights. 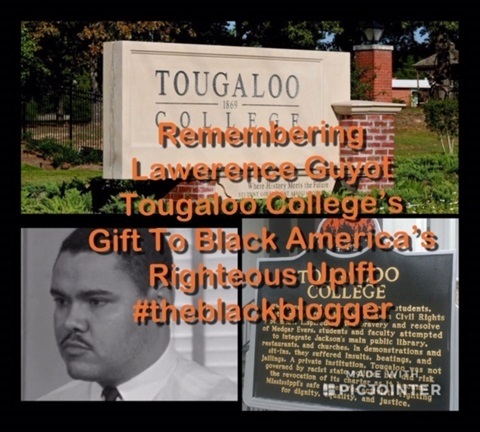 Thanks, Ancestor Lawrence Guyot for your contributions. May you rest forever in eternal peace. WASHINGTON — Lawrence Guyot, a civil rights leader who survived jailhouse beatings in the Deep South in the 1960s and went on to encourage generations to get involved, has died. He was 73. Guyot had a history of heart problems and suffered from diabetes, and died at home in Mount Rainier, Md., his daughter Julie Guyot-Diangone said late Saturday. She said he died sometime Thursday night; other media reported he passed away Friday. A Mississippi native, Guyot (pronounced GHEE-ott) worked for the Student Nonviolent Coordinating Committee and served as director of the 1964 Freedom Summer Project, which brought thousands of young people to the state to register blacks to vote despite a history of violence and intimidation by authorities. He also chaired the Mississippi Freedom Democratic Party, which sought to have blacks included among the state’s delegates to the 1964 Democratic National Convention. The bid was rejected, but another civil rights activist, Fannie Lou Hamer, addressed the convention during a nationally televised appearance. “He was a civil rights field worker right up to the end,” Guyot-Diangone said. “He loved to mentor young people. That’s how I met him,” she said. Glisson said Guyot’s efforts helped lay the groundwork for the Voting Rights Act of 1965. “Mississippi has more black elected officials than any other state in the country, and that’s a direct tribute to his work,” she said. Guyot was born in Pass Christian, Miss., on July 17, 1939. He became active in civil rights while attending Tougaloo College in Mississippi, and graduated in 1963. Guyot received a law degree in 1971 from Rutgers University, and then moved to Washington, where he worked to elect fellow Mississippian and civil rights activist Marion Barry as mayor in 1978. D.C. Delegate Eleanor Holmes Norton told The Post in 2007 that she first met Guyot within days of his beating at a jail in Winona, Miss. “Because of Larry Guyot, I understood what it meant to live with terror and to walk straight into it,” she told the newspaper. On Friday, she called Guyot “an unsung hero” of the civil rights movement. In recent months, his daughter said he was concerned about what he said were Republican efforts to limit access to the polls. As his health was failing, he voted early because he wanted to make sure his vote was counted, he told the AFRO newspaper. 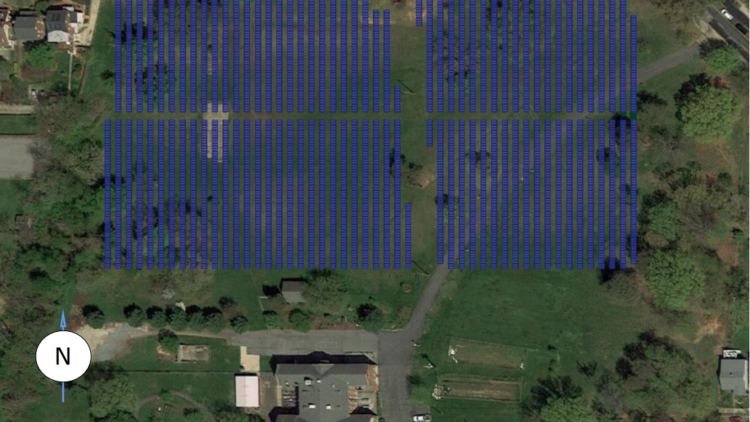 The Catholic Charities of the Archdiocese Washington submitted plans to build a huge solar array in Northeast. Catholic Charities of the Archdiocese of Washington has submitted plans for what will be one of, if not the, largest solar arrays in D.C., in an effort to cut its energy costs and fund improvements to its facilities. The project, to be located on 14 acres surrounding the Gift of Peace House and convent at 2800 Otis St. NE in Woodridge, will involve the installation of 4,778 solar panels, with a total mounted height of 7 feet, according to filings with the D.C. Board of Zoning Adjustment. The array is expected to generate 1.72 megawatts of energy. For comparison, H.D. Woodson High School at 540 55th St. NE, which tops the District’s list of highest solar energy generators, produces 611 kilowatts of energy from its array. 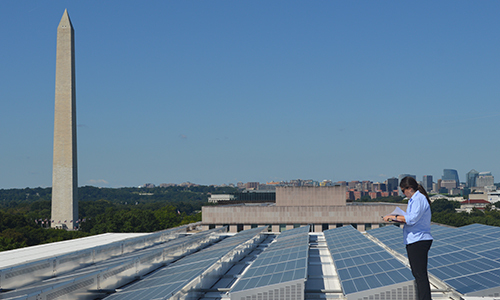 Solar arrays currently located atop about 50 D.C. government sites, from schools to recreation centers to warehouses, generate more than 11 megawatts. Catholic Charities owns the Woodridge land and will lease it to a developer to build the array — and receive credit on its Pepco account for the energy generated. Design plans for the array were produced by Millersville, Maryland-based Solar Energy Services Inc.
A Catholic Charities spokeswoman declined to name the solar developer, how much the land will be leased for or how much the panels will cost. She did say the effort would save the charity an estimated $200,000 a year. Catholic Charities intends to use those funds toward maintenance and repairs to the Gift of Peace House, run by the Missionaries of Charity, which shelters 38 terminally ill men, women and children. Mother Teresa, now Saint Teresa of Calcutta, founded the Missionaries of Charity and opened the D.C. Gift of Peace House in 1986 largely to serve those dying from AIDS. The array, which Catholic Charities hopes to launch next year, will be closed off by a 6-foot-tall fence.